Start from the FeedBurner "My feeds" display - and select a feed in the list. "Edit Feed Details" is at the top of the feed dashboard. 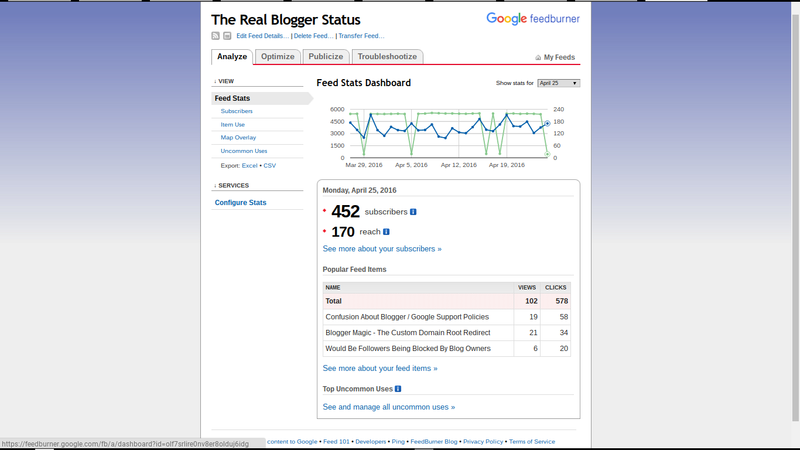 Start from the feed dashboard. Click on "Edit Feed Details". And there is the "Edit Feed Details" display. You can change the feed title here - or in the service settings. 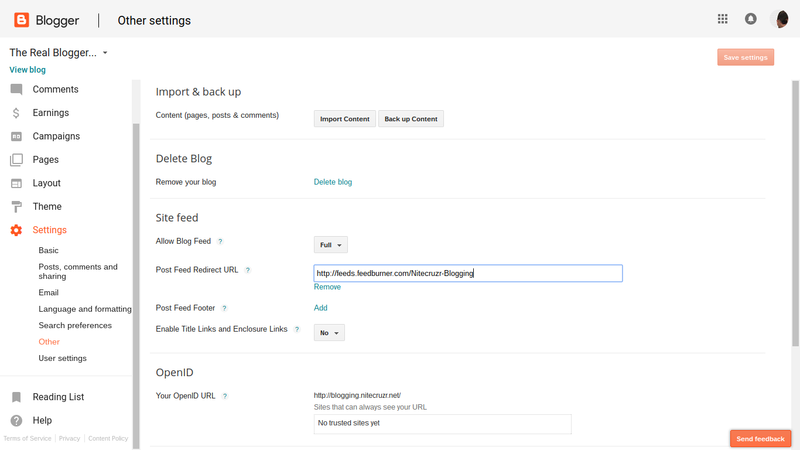 Optimize - Title/Description Burner lets you change to title used in the feed itself. Publicize - Email Subscriptions - Email Branding lets you change the title used in the email based feed service. You may want to check the blog title, also. 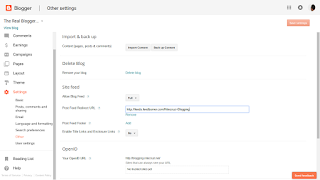 If you change the URL of your blog, or want to use a different blog, you can use the FeedBurner Feed URL ("Original Feed") to make the change transparent, to everybody who Follows your blog using a FeedBurner service. 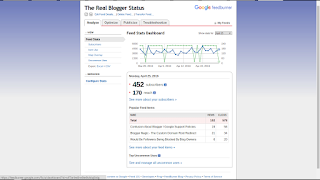 The original feed URL may change - but the FeedBurner Feed URL does not have to change. 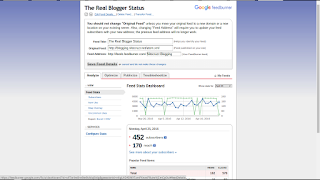 If you're using FeedBurner to redistribute your blog feed by email, use the Post Feed Redirect setting, in the Blogger dashboard, to redirect to this FeedBurner feed. 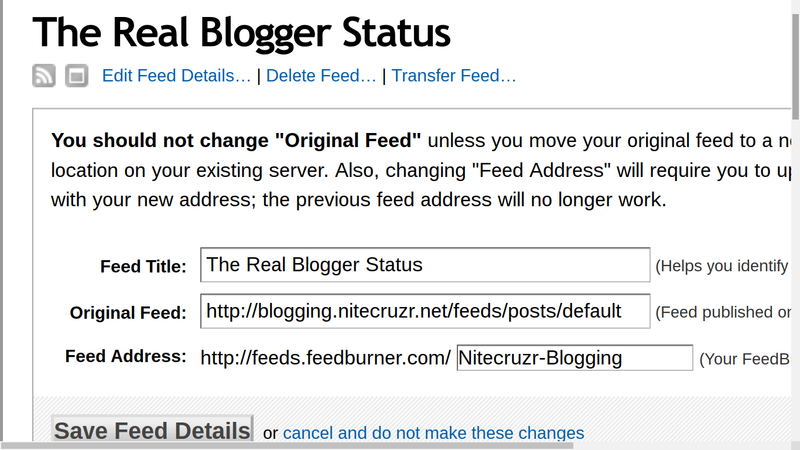 Then, this FeedBurner "Original Feed" should be sourced from the original blog feed. Besides changing the title, you can change the feed URL ("Feed Address"), if you need. Simple changes / powerful results. These are simple changes - that can have powerful results. An example, using this blog. 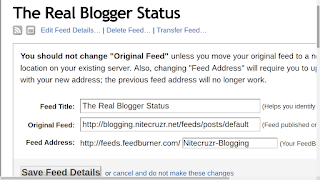 Here is how this blog, using a Post Feed Redirect, is setup to publish to a FeedBurner redirected feed. 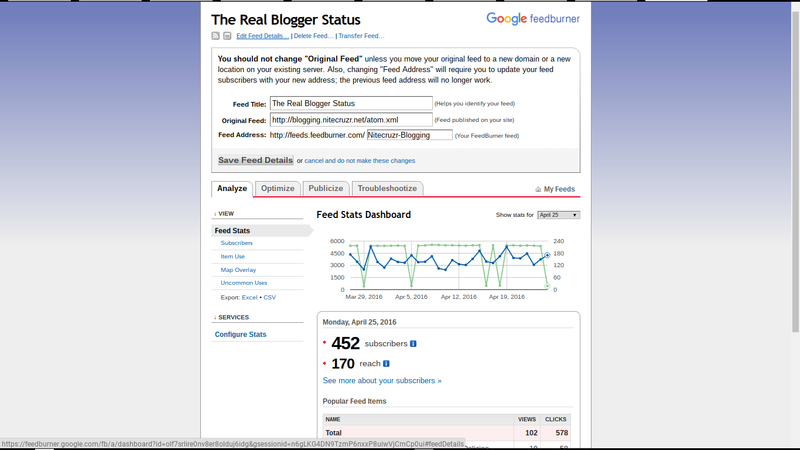 Any #Blogger blog owner who uses #FeedBurner to distribute / modify content of a newsfeed, or an email subscription, needs to know and use the "Edit Feed Details" dashboard wizard. The ability to change the feed title, the blog feed URL, and / or the FeedBurner feed URL, at will, makes this a useful wizard.